My children: a new dispensation comes to us today. Will you receive it? Will you free yourselves? Will you recover the lands stolen three hundred years ago from your forefathers by the hated Spaniards? We must act at once… Will you defend your religion and your rights as true patriots? Long live Our Lady of Guadalupe! Death to bad government! Death to the Gachupines! Red, white and green is everywhere and sometimes I think it’s Christmas:-) Nope, Mexican flag. Morelia used to be called Vallodolid, but was renamed after independence in honor of José Maria Morelos, a revolutionary leader (born here). So this is a good city in which to celebrate! Every 15 September at around 11 p.m., the President of Mexico stands on the balcony of the National Palace in Mexico City and rings the same bell that Hidalgo rang in 1810. The President then recites a shout of patriotism (a Grito Mexicano) based upon the “Grito de Dolores” with the names of the important heroes of the Mexican War of Independence who were there on that historic day. The Grito ends with the threefold shout of ¡Viva México! Long live the nation’s independence! If we had more litanies on July 4, I might feel more patriotism. But I find it so arbitrary that I was born in the US, in an era when we are ruled by a “democratic” government, that my family line has citizenship and security. I could have been born in any other country. I could have been born in a family on the “wrong” side of a revolution. I could be living in a region when the borders change and lose my citizenship. But hey, happy independence day! May freedom be reborn, in Mexico and beyond! Now that EPN will soon be replaced by the (more popular) AMLO, I imagine he might not want to face the crowds tomorrow. 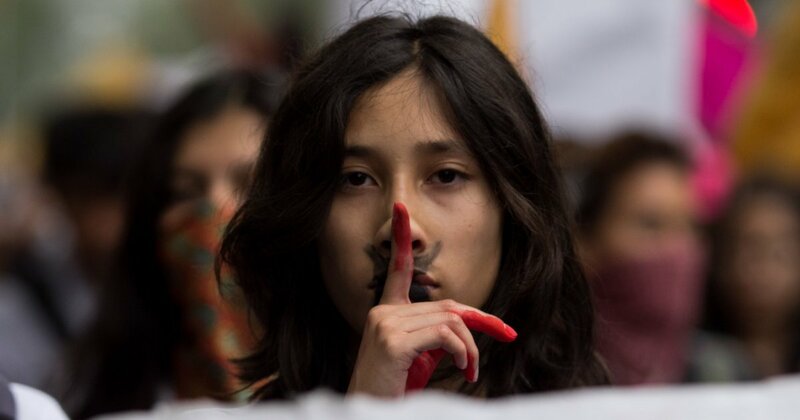 The Zócalo is all warmed up for civic engagement; two days ago was the 50th anniversary of the Marcha del Silencio (Silence March) when students and workers held a wholy silent march. Why? Well, think about 1968 - so much upheaval! The Mexican Movement of 1968 was for human rights, an end to police violence, release of political prisoners, etc. Police violently surpressed this movement and continually blamed the activists for “rioting.” Sound familiar? So the activists had a wholy silent march, demonstrating their civility! Just a couple weeks later, a peaceful demonstration became a massacre. Government cleaned the streets quickly, since ten days later the Olympics were in Mexico City and US activists won medals. On the 50th anniversary of the Marcha del Silencio, students were on the streets! That’s what we hear from friends. Either you bribe a cop or buy a cop or buy a police force or buy a state…of course there are the criminals (or innocent bystanders) who are too poor for bribes and take the fall, the beating, the verdict. And students have many reasons to fear. My grandfather participated in ‘68. My parents in ‘99. They passed the baton of the struggle to me. I survived in 1968 and 1971. I accompanied my children in 1999. Now I’ve come with my granddaughter. That’s how I’d like to celebrate independence day. Fireworks and grilling out is good, too, but I’d like to proclaim justice and nurture peace with my loved ones this holiday.